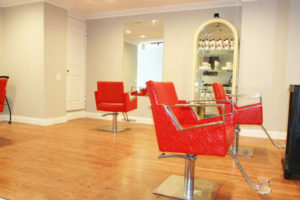 With its whimsical red and green hues, Mogi’z Hair Salon & Art Gallery is dedicated to staying creative, natural and welcoming. We believe that the hair is like a art canvas and you can almost do anything with it! 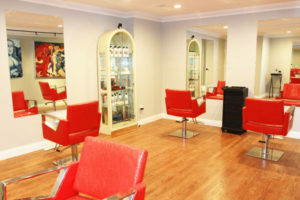 The combination of colors, patterns and textures bring hair and art very close together in our environment. We hope you enjoy our paintings and sculptures in the salon while your masterpiece is being created !